This is a continuation of the natural butters for hair and beauty series. 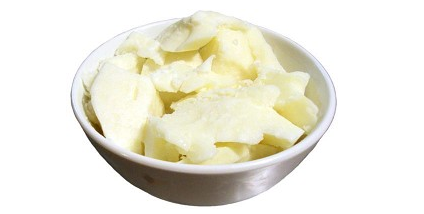 You can read the previous articles about natural butters HERE. 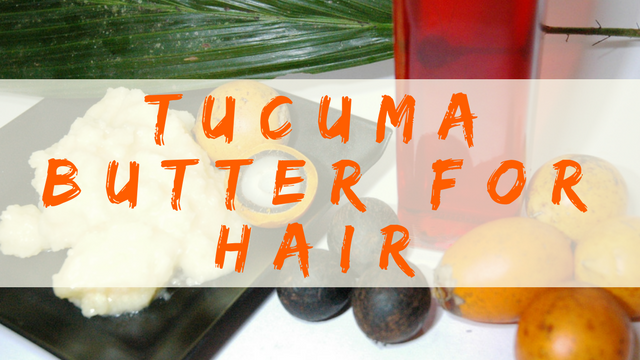 This article takes a look at tucuma butter for hair as well as benefits, best ways to use tucuma butter for hair and the best brands of tucuma butter. 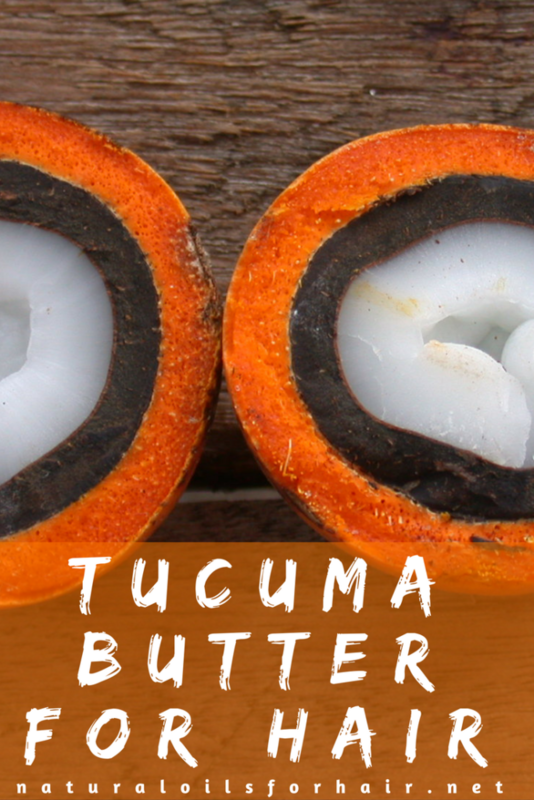 Tucuma butter comes from the seeds of the tucuma palm, which grows in Brazil – similar to murumuru butter. Both tucuma butter and murumuru butter have similar profiles. 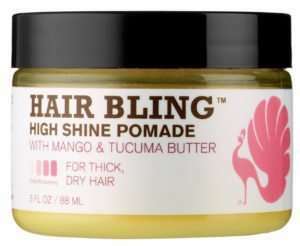 Tucuma butter is ideal for frizzy, dry, dull and damaged hair. 3C – 4C hair types would also love this butter. Tucuma butter is rich in antioxidant polyphenols, which combats free radicals in the body. Tucuma butter is rich in fatty acids that protect and moisturize the skin keeping it supple and looking young; an attribute hair can also benefit from. Tucuma butter helps maintain hydration, suppleness and elasticity – a boon as a body butter and a sealing butter for hair. Tucuma butter is a vegetable silicon. It mimics the properties of commercial silicone products without any of the harmful effects on hair. It forms a protective screen on the hair without clogging pores, drying out the hair or weighing down hair. Read Why Cones Are Bad Plus 21 Bestselling Silicone Free Conditioners for Curly Hair. Tucuma butter is rich in beta-carotene, which is converted into vitamin A; one of the important vitamins for healthier and stronger hair growth. Tucuma Butter is high in lauric, myristic, and oleic fatty acids – excellent for maintaining moisture in the hair. Tucuma butter is not just for hair. It can also be used on the skin and its properties plays a major role in alleviating dry skin, stretch marks, scarring and other skin conditions. It’s also suitable for sensitive skin. 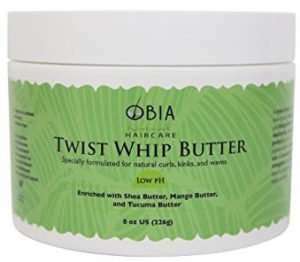 Overall, tucuma butter stands out as one of the best butters for hair and can be used as a sealing butter after a wash and go, to define a braid out or twist out and to seal in moisture after spraying the hair with products. It will also provide a bit of shine. You will need about 2 – 4 oz tucuma butter (or murumuru butter), 2 teaspoons of argan oil, sweet almond oil, carrot oil, coconut oil and vitamin E oil. Soften the butter over a bowl of hot water and whip with a fork or whisk. Add in all the oils and whisk some more. Pour into a suitable jar and put in the fridge to solidify a bit. Your moisture sealing butter is ready. Apply generously as required for your styles. If your hair doesn’t like any of the oils above, you can substitute with these oils – emu oil, carrot oil, avocado oil, olive oil, grape seed oil and castor oil. Raw unrefined organic tucuma butter from Celebratio Vitae Organics is a very popular brand and comes highly recommended. Paris Fragrances & Cosmetics Supplies tucuma butter is another popular brand. Whichever brand you choose, keep in mind tucuma butter shouldn’t be grainy and should be easier to spread than cupuacu butter. If the butter is missing these attributes, it may not be original. There were a few other brands I found but they had other ingredients that aren’t very agreeable with natural and curly hair.